The water temperature has been reaching about 65⁰ F. The weather has been a mix of warm days and warmer days with the temperatures in the high 50’s and 70’s. Water clarity is very good. Boaters are catching limits of trout early in the morning and they are using worms and power-bait. Anglers report that the Stanley dock and the 2nd dock are good places to reel in trout. A 4lb. catfish was caught off the east side of Stanley Shoreline on PowerBait. 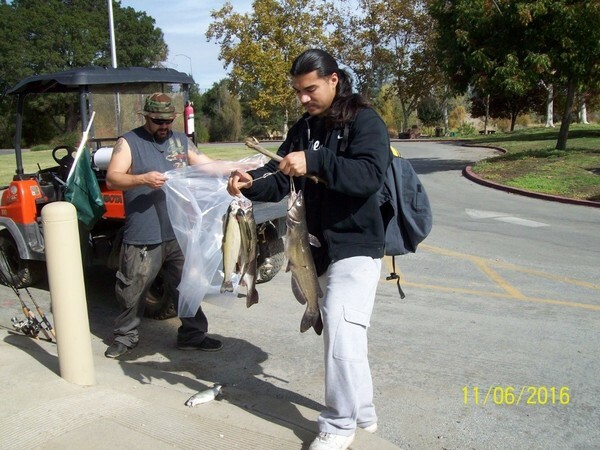 Gabriel Rezendez of Union City caught and released 6 bass float tubing in the arroyo on Senko’s. 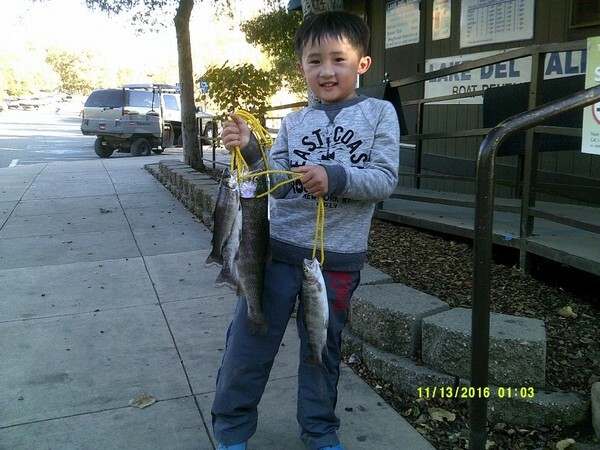 Carlos and Leo of San Jose caught limits of trout while boating near the middle of the lake. Mario Gutierrez caught 2 trout while fishing left of the 1st dock. Mario was using PowerBait. 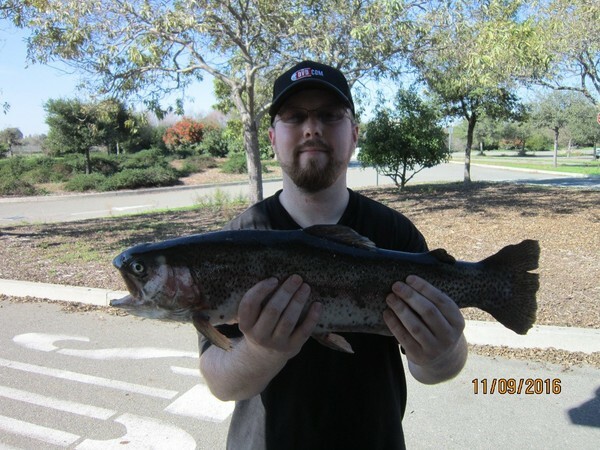 Kevin of Dublin caught 3 trout using PowerBait and he was fishing the shoreline.